NaBloPoMo November 2015 - Are you up for the challenge? 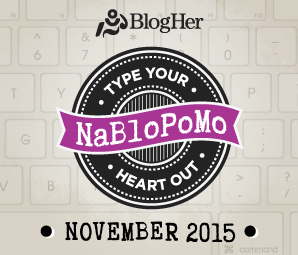 NaBloPoMo November 2015 – Are you up for the challenge? Even though I’ve struggled with making the time to blog daily over the past few months, I’ve decided to take the plunge and commit to doing so in November as part of NaBloPoMo (National Blog Posting Month). Even though NaBloPoMo actually happens all year round, November is the “official” month with tons and tons of bloggers jumping in on the fun, so it seems like a great time for me to get back in the habit of daily posting (even if it is just for 30 days!). Anyone care to join me? All the info you need is here, and signup is here (and hey, look – I’m first on the list!). 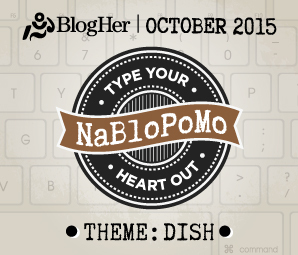 Will you be blogging daily for November’s NaBloPoMo? 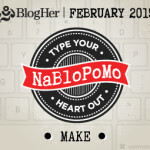 12 reasons why YOU should sign up for NaBloPoMo in February 2015! I’m in!! See you there Laurel! I’m #116. See you there! I’m in, Laurel. See you there!